Jennifer Donnelly has been helping men find success with women for over 17 years. However, success is often more than just finding a certain technique that works; it is also avoiding the ones that don’t. We asked Jennifer to pinpoints a few of the worst dating habits that are costing men a lot on the dating playground—and she was kind enough to grace us with seven. 1. Making a Persona: “I think men tend to try harder to impress,” suggests Jennifer. “I think it is important to stop trying to be someone that you are not.” Why? Because if you are yourself right off the bat, then you’ll have nothing to hide later on. 2. Sticking to One Type: Men, don’t just go out with the same types of women. Expand your interests and you just might find a new ‘your type’ that is even better. 3. Date ‘n Dash: “Don’t just scratch the surface,” says Jennifer. “Really get to know someone before you completely write them off your dating list.” Or give someone you wrote-off on a date awhile back a second chance. You never know how they may have changed. 4. Negativity: “Women ask about negative aspects of your life (ex’s, breakups, etc.) because they want to know,” Jennifer reminds us men. “But at the same time, they don’t want to know; so don’t fall for this trap.” Always try to keep the conversation positive no matter what questions a woman may ask. 5. Cell Attention: “Put the cell phone away,” Jennifer scolds. “If you need to check it, walk into the restroom.” Show the person that you are interested in what they have to say with your undivided attention. 6. Making Dull Choices: Expand your palette by trying a new dish on a date, or exploring a different part of town. It is easy to get in a rut of needing to be too comfortable, which will only come off as being boring to your date. New experiences also tend to bring women closer to you. 7. Wandering Eyes: “Everyone does it,” says Jennifer “However, keep your eyes to yourself as a common courtesy.” Only focus on the person you are with, and not the attractive female walking by you. If you can master this, you’ll be rewarded with a higher percentage of second dates. Okay Jennifer, this brings a few questions to mind. Urbasm: We’ve read the importance about first impressions. Especially when it comes to women–men only get a small window to make a good impression, and if they fail, there will likely not be a second date. How should guys channel their quirkiness so that it does not scare women away? Jennifer Donnelly: Be more conscious of yourself if you tend to be more of a quirky person. If you can tame that on the first couple of dates, hopefully it won’t turn into a problem. Urb: I have read a lot about the importance of a man’s appearance during a first date. It is said that men should dress to impress, as even his choice in shoes can make or break his date’s opinion of him. What do you say to this? JD: They do. Women look at it all. I think you have to think of it as if you are on an interview. How would you want to present yourself, and have that image going into the first date. If you don’t know how to dress, get a personal shopper or go to Neiman Marcus [or equivalent] for some style advice. Urb: It is clear that men should give their first date’s time to get to know them. However, there are stories of men falling for “bad girls,” that end up taking advantage of their gentlemen side. What would you say are the signs of when a first date has become an absolute deal breaker? JD: If she starts out asking you about your financial status, that is a big red flag. When you are on a date, I think you can feel when someone is asking questions because they genuinely want to know about you, versus asking questions of interrogation. If it doesn’t feel natural or comfortable, then consider it a potential red flag. Urb: A lot of male dating experts tell men that machismo is a dying characteristic. They say that men need to ditch some of their sensitivity, and bring back their ability to lead a first date and make the decisions. What do you think of this advice? JD: Women love a confident masculine men. However, what women don’t like is a man who is so masculine that they just don’t show their sensitive side at all. Women like a sensitive man. It is an attractive quality. I can’t tell you how many women wish men would be a little more sensitive. However, the problem is when a man is too sensitive too soon. That doesn’t send the right message. It is all about finding balance. 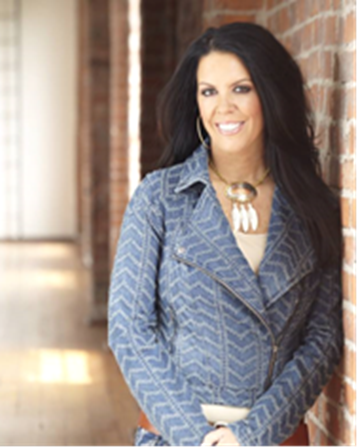 Jennifer Donnelly is a dating/relationship expert, author, entrepreneur and motivational speaker. With over 16 years’ experience as a successful matchmaker, Jennifer has become a go-to expert on dating and relationships. As the “face” for It’s Just Lunch for many years, Jennifer has been quoted in more than 50 publications and has appeared on dozens of television and radio programs, such as Peter Jennings World News and Good Morning Texas. She is also the author of popular books on dating strategies and a frequent to speaker on the art of making connections, both romantic and business-related.